Item easy to install, but it also needs professional install skill. Color: White. 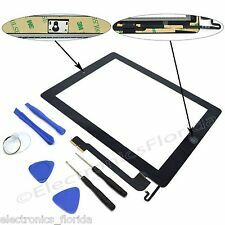 A IPAD AIR 5TH GEN TOUCH SCREEN DIGITIZER PRE-ASSEMBLED ADHESIVE. Apple iPad Air. Apple iPad Air WiFi plus 3G/LTE. Apple iPad Air WiFi. Apple iPad 5. X1 iPad Air Black. Scratch-resistant glass, Oleophobic coating. 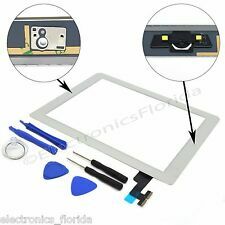 USA Same day Ship+Home Button+ Adhesive+Tools Set! IPad Mini 1 Touch Screen Glass. It does not include a touch digitizer or LCD assembly. Apple does not endorse use of these products. 1 x Screen Protector. It includes an 8-piece tool kit with adhesive. 1 x Glass lens. Color: White. 1 X Touch Screen Digitizer. Whether it took a fall or simply stopped responding to your touch, you may need to learn how to replace the glass on your iPad. 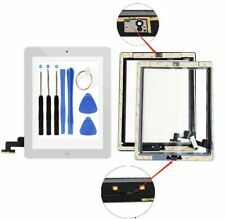 Fortunately, the iPad glass replacement cost is significantly less than replacing the entire unit, making replacing the glass on an iPad a worthwhile repair. Will an iPad glass replacement fix the problem? 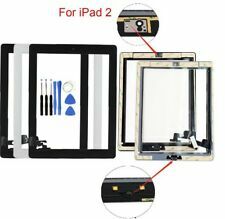 It's important to note that the glass and screen of an iPad are two separate and distinct parts, with the LCD screen sitting behind the glass. 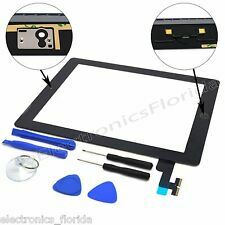 If your screen no longer displays an image or displays images incorrectly, you'll need an iPad screen replacement kit from eBay. Replacing the glass won't solve your problem. If, however, your iPad glass is cracked or no longer responds to your touch, replacing only the glass on your iPad should correct your issue. Does the model number matter? When purchasing replacement glass for your iPad Air, Mini, Pro or another device, it's helpful to know your model number. You can often track down the correct size glass based on these common names, but the more specific you are, the easier it is to get the proper glass. iPads sometimes change slightly from one generation to the next, so it's better to order replacement glass by model number whenever possible. To find yours, flip your iPad over and look at the back. You'll find the model number listed beneath the Apple logo near the bottom of the unit. iPad model numbers begin with the letter "A," which is followed by four digits. Use this number when ordering your new glass. 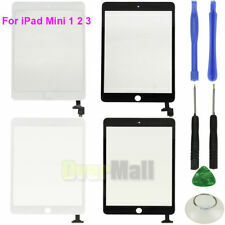 iPad replacement glass includes a colored border that is available in black or white. The color will not affect your device's performance, so choose whichever you prefer.